John Key has learnt from a media training mistake he made earlier this year by refusing to speculate on whether Sri Lanka was being opportunist in complaining about DCD levels in its Fonterra milk products. This coming days after the baby formula crisis broke. Despite generally having first-class media training skills, earlier this year Key fell into the speculation trap. He did this by saying that New Zealand could join South Korea on the battlefield if a war broke out with the north. This was clearly an honest statement, but speculating on something so serious that may or may not happen is a recipe for disaster. He should have just said that would be mere speculation since no war had begun. His comment led to all sorts of headlines, and he was accused of being a warmonger. He faced a similar situation this week when asked about why Sri Lanka suddenly raised concern about the level of DCD in the milk products it imported from Fonterra. Many may say they were taking advantage in the wake of the baby formula fiasco. 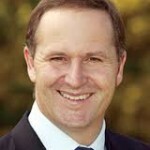 “Key wouldn't speculate on whether Sir Lanka was being opportunist in the wake of last week's Fonterra whey contamination scare,” were the words used in a story appearing on Stuff.co.nz. From a media training perspective, he did the right thing. If he had said Sri Lanka could be trying to take advantage at an opportunistic time, he would have been in trouble. Not only would the media have a field day, but it would impact on New Zealand’s relationship with Sri Lanka. But instead, he refused to speculate. By doing that, he killed the angle and reporters moved on. You probably didn’t even hear about this. But if he had speculated, you can guarantee it would have been big news. This is something we always emphasise with our media training clients. It’s OK to speculate about Saturday’s rugby match, but always think twice when it’s about something serious and full of emotion.